As autumn leaves and temperatures fall, it is time to think about furnace maintenance. Commercial HVAC (heating, ventilation, and air conditioning) systems can be more complicated than residential. They are typically larger in order to accommodate larger buildings and may include multiple units that need to be maintained. Every fall the following steps should be taken to properly maintain your furnace. Replace filters. HVAC experts recommend replacing filters monthly, but at the very least they should be done twice a year in the fall and spring. Dirty, clogged filters is one of the main causes of heating system problems. Calibrate your thermostat. Check to see that the thermostat is properly sensing the temperature and triggering the heat to come on when it should. This can be done by a furnace service in Roanoke like Varney Inc. Check your carbon monoxide detector. Make sure that your carbon monoxide detector has good batteries and works properly. Furnaces produce CO which can be harmful if not ventilated properly. Furnaces with a lot of soot build up will produce higher than usual amounts of CO. Your carbon monoxide detector will alarm if CO levels reach a dangerous point. Schedule a professional tune-up. The only way to be sure your furnace is in proper working order is to have a professional HVAC service perform an inspection and tune-up. Any potential problems will be found and repaired before they can cause furnace failure. The system will be thoroughly cleaned and lubricated so that it’s ready for a cold winter. The professionals at Varney Inc. provide expert commercial furnace service in Roanoke. By scheduling a tune-up in the fall, you can prevent unexpected heating problems and keep your system running efficiently. 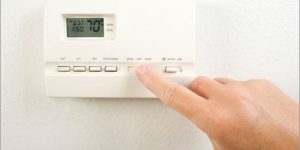 When your furnace is in good condition you can avoid emergency repair fees and keep your energy costs low. Call Varney Inc. at (800)456-1399 or (540)343-0155 to schedule a tune-up.